Screening this weekend: climbing documentary blockbusters The Dawn Wall and Oscar-winning FREE SOLO, plus encore screenings of the Women’s Adventure Film Tour, the European Outdoor Film Tour, Tasmanian and Australian premieres of The Undamaged (kayaking and river activism), Mulanje (climbing in Malawi), No Man’s Land (freeskiing Antarctica), The Laps: Tasmania (surfing/survivalism) and Finding the Line (skiing with Anna & Nat Segal), Kids’ Films from Mountainfilm on Tour, the Mountain Huts Film Trail and more…plus the always fun, always engaging One Year in Tasmania Adventure Film competition screening! Also enjoy an expanded Wellness Program: The Dove Lake Classic Trail Run, Acro-Yoga, Nia Dance, Thai massage tutorials, Nature Movement and Cold Water Therapy (Wim Hof Method), plus canyoning and speed crochet! And join adventurers and filmmakers face-to-face in the Forest Yurt Cinema for Adventure Storytelling, hosted by wilderness guide and raconteur, Bert Storyteller Spinks. But there are still tickets available to individual events! A Festival Pass is a great value way of getting around all the best events of the Cradle Mountain Film Festival, and you get over $300 worth of value for $100 ($90 conc) + booking fee. All 34 events over the weekend are ticketed separately if you prefer, or you can use the unique code sent to you with your Festival Pass confirmation to reserve your place at any events (important for the super popular events or if you're sure there are particular things you just have to see). With a Festival Pass you can also just turn up at an event you haven't registered for and hope you get a seat! Your choice. CMFF19 has a hugely expanded program, with more Film Program events, more Wellness Program events, Adventure Storytelling and pop-up options to drift in and out of over the weekend. Festival Pass holders get discounted Cold Water Therapy workshops ($30 instead of $50) and Very Outdoorsy Person Exclusive Mountainfilm on Tour screening in the Forest Yurts ($50 instead of $75). Festival Pass holders also get $25 off canyoning tours with Cradle Mountain Canyons, valid until the end of the season (April 30 2019). Dr Abbey MacDonald launches an exhibition of outstanding works from award-winning photographer and director, Matthew Newton, and includes a screening of namanu rruni/Albatross Island, a 15 minute documentary by Rummin Productions, which takes the viewer to a place almost entirely unseen. It is a journey into the lives of the endemic shy albatross that live on only three islands around Tasmania, and the scientists that are working to ensure the species survival. Join filmmakers and adventurers in the Forest Yurt Cinema + Lounge for new ice-themed films, including the World Premiere of ICEolation the documentary of a 14-day unsupported sea kayak expedition in remote Antarctica. Plus Queen Maud Land, featuring six elite climbers (Alex Honnold, Cedar Wright, Savannah Cummins, Anna Pfaff, Jimmy Chin, Conrad Anker) tackling epic routes in Antarctica, and The Sacred Place Where Life Begins (25 mins; 2018; Jeremy LaZelle & Kristin Gates) about threats to the Arctic Wildlife Refuge and the people of the Gwich’in Nation. There will be $10 meals, ice cream, gin cocktails, bar open and fires cranked. Included in Festival Pass. Free dixie cup ice cream from Van Dieman’s Land Creamery for ticket holders! Yummy and oh-so-cold! FINDING THE LINE is a film about fear, it’s paralyzing grip on humans and how it affects our decision-making. Olympian and X Games Slopestyle champion Anna Segal and her Freeride World Tour, big mountain skiing sister, Nat Segal, use their skiing to understand fear and how it manifests in the two siblings’ lives. Included in Festival Pass, use your code to reserve a place. See world reknown freeskiers Matthias Mayr and Matthias "Hauni" Haunholder as they scout Antarctica kite-surfing on skis to find the Holy Grail of freeriding and some of the most spectacular landscapes humans have ever skied in. Three men, each hauling a 90kg sled, covered a distance of more than 150km hiking and using kites. The resulting film is an impressive expose of Antarctic beauty. Sit down face-to-face with a series of local and not-so-local adventurers and filmmakers sharing tales of joy, blood, sweat, tears, cold and hours of editing! With a full line up online now, you're guaranteed a good yarn in an amazing setting with your host: wilderness guide, author and raconteur, Bert Storyteller Spinks. FREE ENTRY but please register your interest. Included in Festival Pass. In January, 2015, American rock climbers Tommy Caldwell and Kevin Jorgeson captivated the world with their effort to climb The Dawn Wall, a seemingly impossible 3,000 foot rock face in Yosemite National Park, California. The pair lived on the sheer vertical cliff for weeks, igniting a frenzy of global media attention. More than just a climbing film, this movie is an inspiration to all and will leave you desperate for your next adventure. From award-winning documentary filmmaker Elizabeth Chai Vasarhelyi (“MERU”) and world-renowned photographer and mountaineer, Jimmy Chin, comes National Geographic Documentary Film’s FREE SOLO, a stunning, intimate and unflinching portrait of the free soloist climber Alex Honnold, as he prepares to achieve his lifelong dream: climbing the face of the world’s most famous rock, the 3,000ft El Capitan in Yosemite National Park...without a rope! Included in Festival Pass. AcroYoga combines the connection and presence of yoga with the balance and playfulness of acrobatics. Every step of the way will be explained so that you will confidently and safely learn how to base, fly, and spot. Come laugh, learn and play with Scott Cashins. Nia is a graceful, mindful, cardio movement practice that blends the dance arts, healing arts and martial arts. Powerful and flowing movements to upliting music - Nia is grounding, energising, fun and deeply soothing. A mind, body, spirit conditioning that will leave you feeling radiant, strong and connected. Nia is for everybody and all levels of fitness. Nature Movement - Come and explore human movement in nature with Scott Cashins. Inspired by nature, this movement practice combines nature, flow, and some creative ways in which we can move through it and nourish our joints, bones, muscles, spirit and soul. Follow the Balkan Rivers Tour, a crew of whitewater kayakers, filmers, photographers and friends who decided to stand up for the rivers, travelling from Slovenia to Albania for 36 days, kayaking 23 rivers in 6 countries to protest the dams and show the world the secret, wild rivers of the Balkans. The film honours everyday people and local activists who are fighting to defend rivers and aims to spread the word of the plight of these rivers. Featuring a reflection on the Franklin River Campaign with Bob Brown and Anka Makovec. Included in Festival Pass. Three amateur climbers and a filmmaker leave the safety of their everyday lives and travel to a remote corner of Malawi to attempt the biggest climb of their lives, the 1700m west face of Chambe Peak. Tensions run high as the team are pushed to their limits battling the scorching African sun, forest fires, and scarcely believable rumours about vampires living in the area. ‘The Laps: Tasmania’ is a documentary following Dustin Hollick and Rhian Slapp, two ordinary, surfing fathers with the survival skills of well-trained house pets, on a two-week journey around Tasmania with not much more than the clothes on their backs. The rules are simple: No cash, no car, no technology and just 10 personal items each. You’re almost guaranteed to see someone you know in this Tasmanian film by Angie Davis & Dustin Hollick! Included in Festival Pass. We're screening the judges' shortlist of the top entries in the One Year in Tasmania Adventure Film competition. Check out the breadth of adventures to be had on this cracking island of ours in one year - from 1 March 2018 to 1 March 2019. Ticket includes a Welcome Drink generously provided by Cradle Mountain Hotel to get your party started! The Tasmanian exclusive screening of Mountainfilm on Tour, all the way from Telluride, Colorado. One words sets Mountainfilm apart from other tours: HEART. Join us for a celebration of adventure, environment and the human spirit. This years' films feature an awesome mix of skiing, kayaking, mountaineering, trail running, mountain biking, and cultural stories. Get inspired to take on the world and experience all it has to offer! Included in Festival Pass, use your code to reserve a seat. Come down to the Forest Yurts for some live tunes and dancing in the beautiful yurts, fireside yarns, mulled cider from Willie Smiths and fresh beers from Van Dieman Brewing, and for a chance to snuggle and critique the films. With music from Kenna Reid-Clarke and headlined by Cotton Pony fresh from their mainland tour. 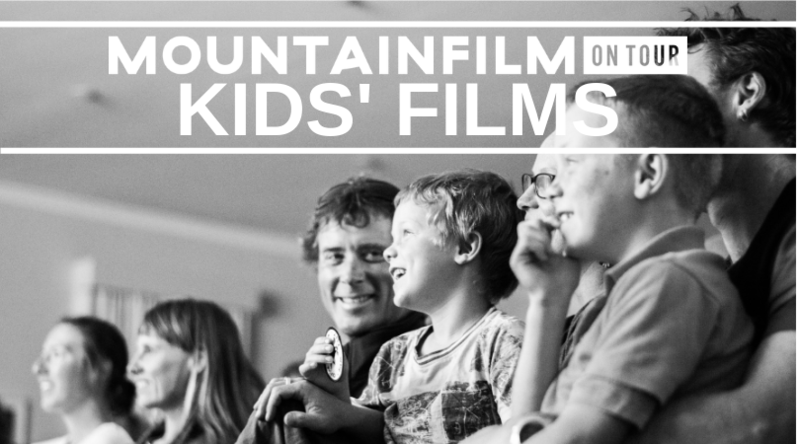 Register and collect a FREE trail map from the Cradle Mountain Canyons office next to the Visitor Centre, then choose your path around five mountain huts to see a specially curated program of short films throughout the day. Films are screened as you arrive, in group sizes of 1-12. Some of the huts are not usually open to the public, so you get extra-special access and will see 100% off-grid projection in these remote locations. Plan C - 14 II was selected as the BEST FILM: Exploration and Adventure at the Banff Mountain Film Festival 2018 . (Argentinian Spanish, English subtitles) Inc in Festival Pass. This collection of films is a celebration of the fantastic women around us who are doing extraordinary things. With over 50% of the content made by or featuring Australian and Kiwi women in the action, join us for these inspiring short films with a focus on adventure, the environment and heart warming stories. Includes the outstanding efforts of Aussie climber Monique Forrestier as she conquers Tiger Cat (grade 34) in the Blue Mountains, and catch Mothered by Mountains, a popular film on the world festival circuit. Included in Festival Pass. To finish off the CMFF19 with a bang, here is European Outdoor Film Tour. Timed to give you a chance to relax and breathe after the Mountain Huts Film Trail and before you head home, E.O.F.T. is packed with inspiring short films from the great outdoors, breath-taking athletic feats and inspiring stories, in this special festival screening brought to you by Adventure Film Tours. E.O.F.T. is a premium film tour experience. Unlike other tours, every film is handpicked and specially edited and produced for the tour by a team of expert filmmakers in Germany. Included in Festival Pass.